It's fri-yay! The Rock really wants to go check the surf, but can't cross the street from his welcoming spot on his own! 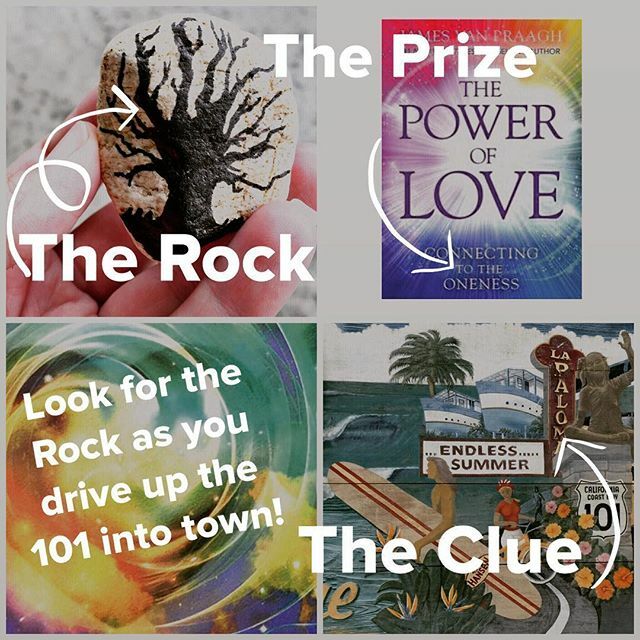 This rock is hiding somewhere in downtown Encinitas, find him to win James Van Praagh's new book, The Power of Love! …Rules: find Rockman, post + hashtag #soulscape + #jamesvanpraagh on Instagram (or DM pic if your account is private). Bring Rockman to James Van Praagh booksigning on June 29th to exchange for your prize, The Power of Love! One prize per person please. Now GO!